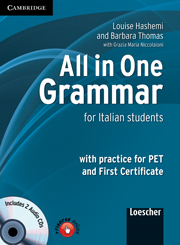 All in One Grammar provides complete coverage of the grammar needed for the five years of the Italian upper secondary school. It presents vocabulary and grammatical structures in the order they are actually learned in the majority of course books. 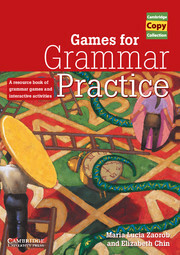 Clear and contrastive grammar explanations are followed by practice exercises. Each section is followed by an 'All in One revision section' which enables students to assimilate the grammar presented. All in One Grammar can also be used to prepare students for Cambridge ESOL PET and FCE exams as it includes tasks from reading, writing, listening and Use of English papers. There is particular focus on listening skills. The two CD Audios enable students to do further practice at home. The book has a 64 page Exam Practice/Test Booklet for teachers, clearly signposted with the exams it provides practice for.